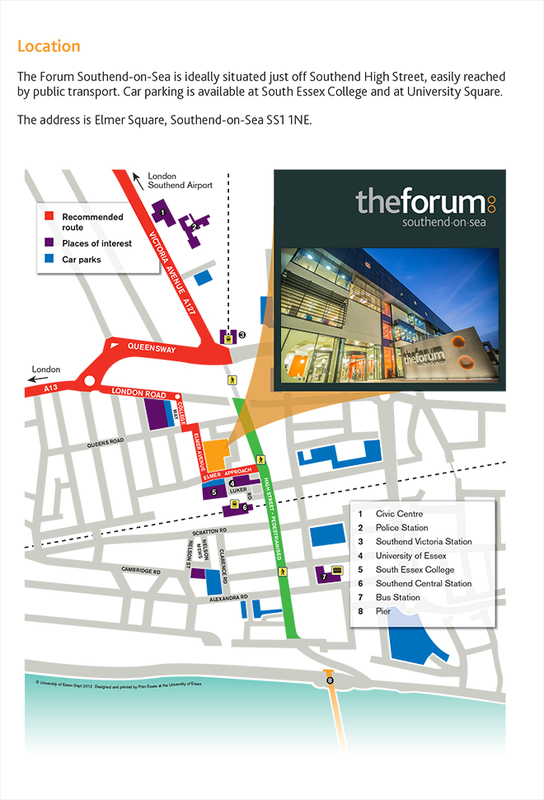 A comprehensive range of rooms and facilities are available to hire at The Forum, from the state of the art Lecture Theatre to the prestigious Board Room. The 200-seat Lecture Theatre, accessed from the ground floor, offers the latest in IT and AV as well as a large screen and there is an adjoining space suitable for a reception before or afterwards. Meeting rooms to cater for groups of all sizes are also available in The Forum. The rooms can be set up and arranged in a variety of styles to suit your event. The Board Room is a distinctive venue for a high level meeting or lunch and guarantees privacy. All rooms are well-equipped with IT and AV with a professional technical team on site. Catering can also be arranged. For further details, prices and availability please contact scvenues@essex.ac.uk or telephone 01702 328336.